Special twin design, which allows to make two cigarettes at a time! For King's-Size cigarettes (also known as Regular/Short/Normal/84mm cigarettes). This is twin, simple to use, cigarette making machine (also called cigarette injector or cigarette roller machine). 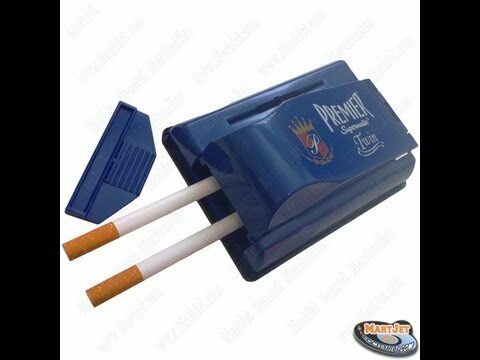 Double cigarette machine, made of high quality plastic. Fast, and easy to use. Make your own for half the time! * Tamper and 2 extra nozzles included. • Please NOTE: Tobacco, tubes and/or any other supplies are NOT included!